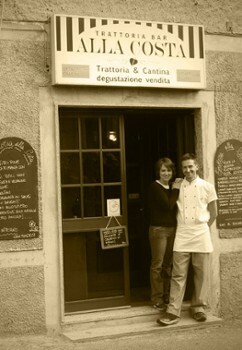 Located along the ridge Bassone, it is more than a family business. 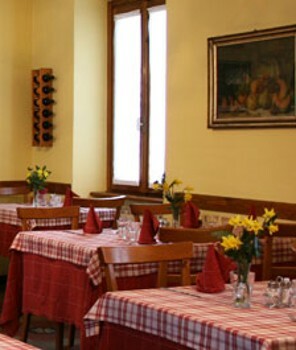 Trattoria alla Costa has kept its traditional appeal Lombard cuisine, with its warm inviting dining areas. You must never miss the chance to try the home-made desserts. They are fabulous. There are pies and tarts and the famous 'cutizza', a sweet bread known as the poor mans's cake. There is also crème caramel and strudel. Highly recommended is 'il bonnet', a typical rich dessert from Piemonte. 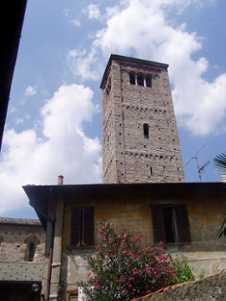 Nearby Things to Do include: Castles & Ruins such as Baradello Castle and Como Gate Tower; Museums such as Silk Museum and Arte & Arte; Monuments such as La Fontana Monumentale and Alessandro Volta Tomb; Villas such as Villa Giovio and Palazzo Giovio; Towns such as Brunate and Dervio; Churches such as Basilica di San Carpoforo and Basilica di Sant'Abbondio.